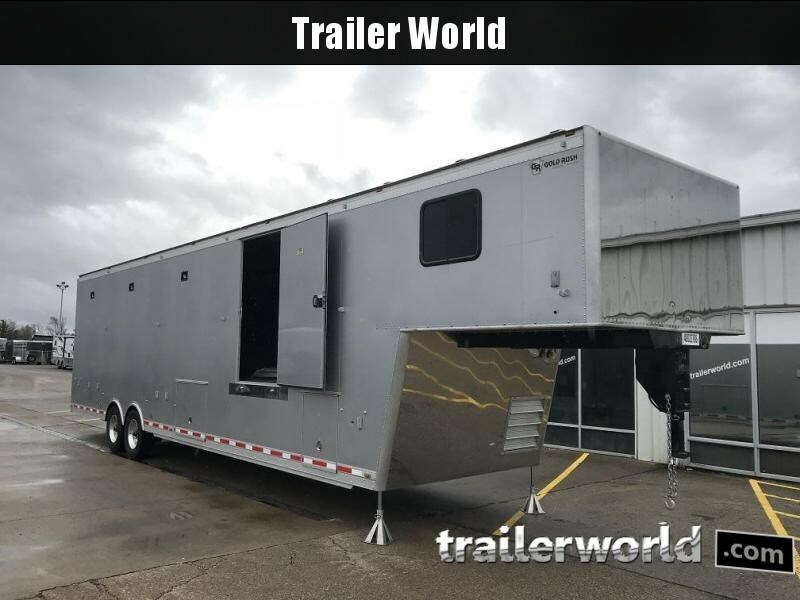 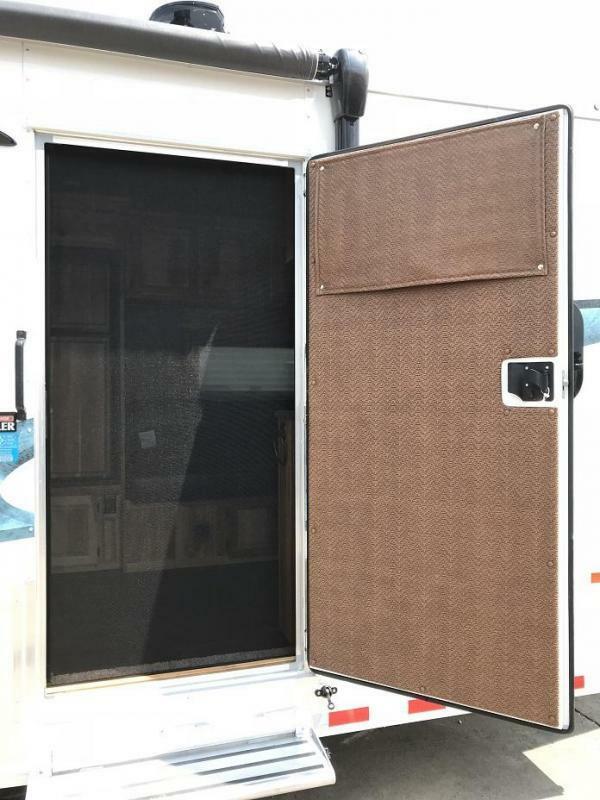 41' overall, it is 7'6" tall and 8'6" wide and has a rear cable assist ramp. 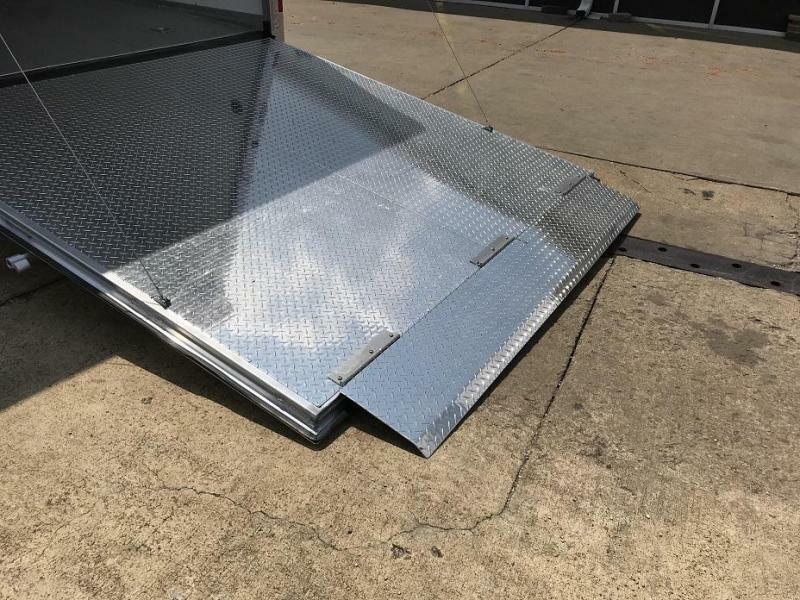 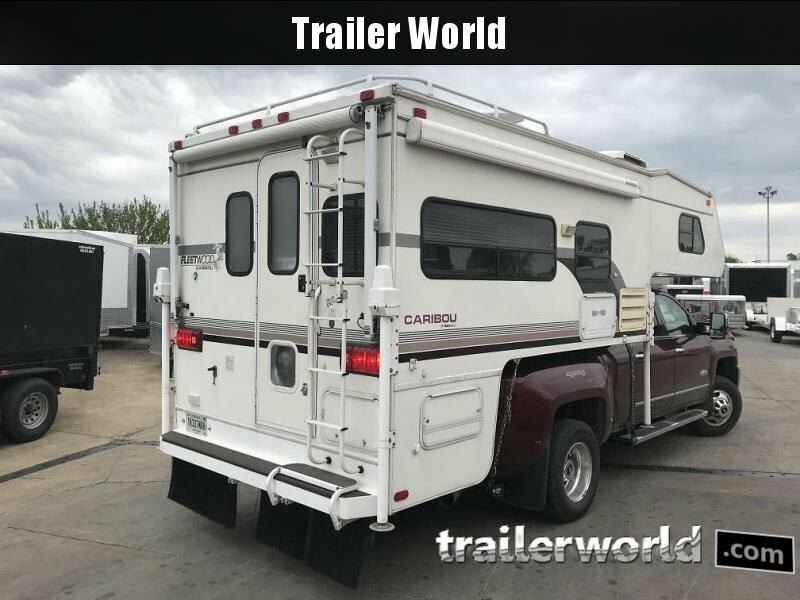 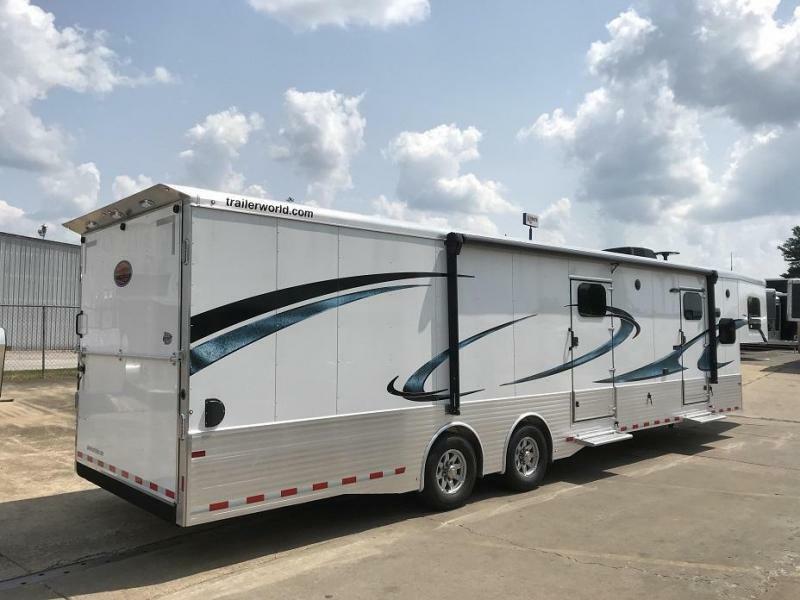 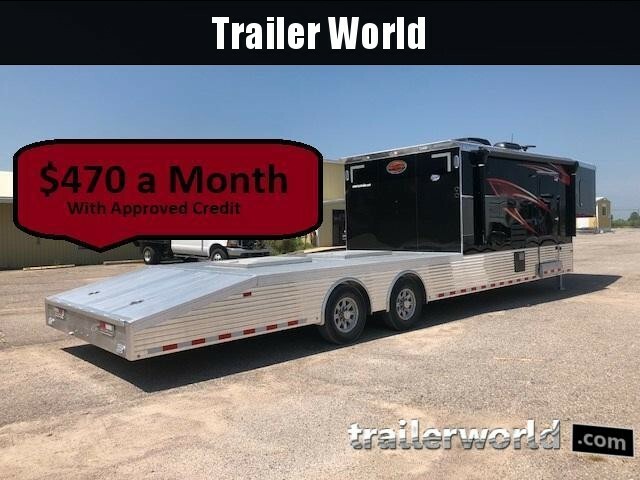 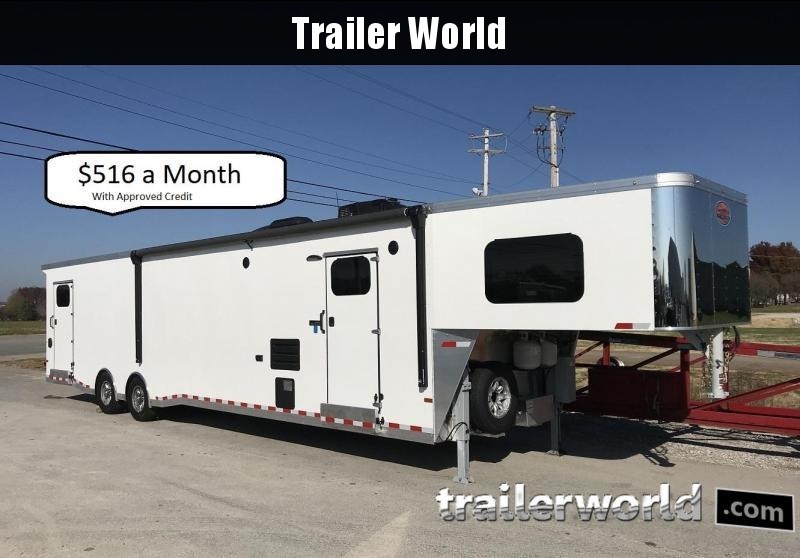 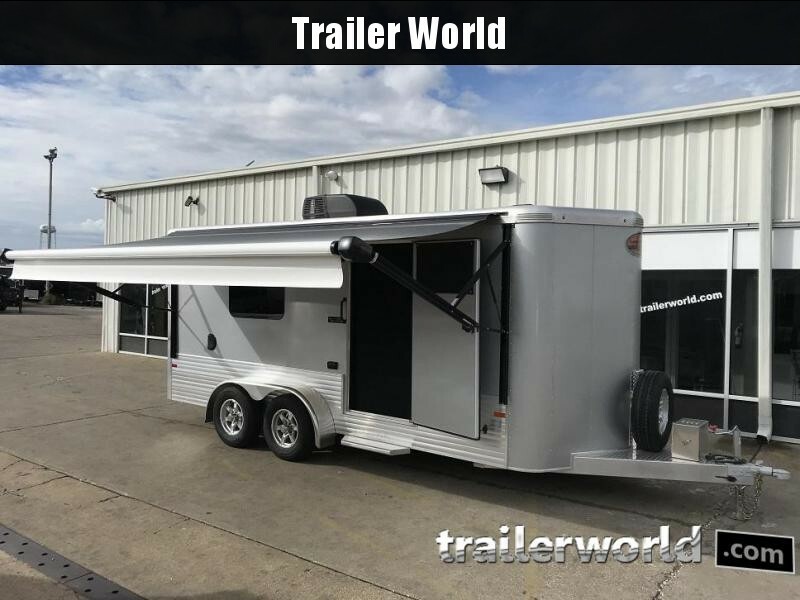 Built with an aluminum frame and .050 aluminum skin, the aluminum frame takes it to the next level for strength and durability and sets it apart from the pack in the toy hauler market. 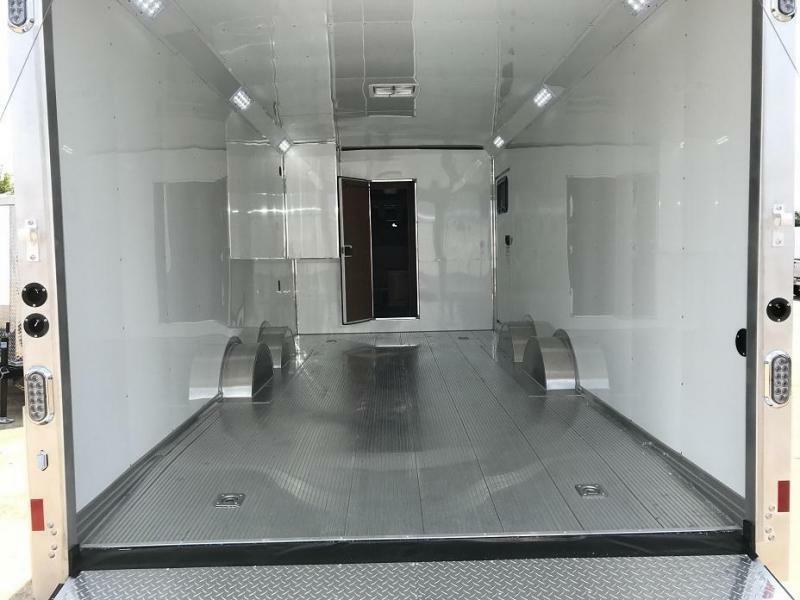 Sundowner trailers feature a one piece .040 aluminum roof with aluminum I beam cross member roof bows on 12" centers. 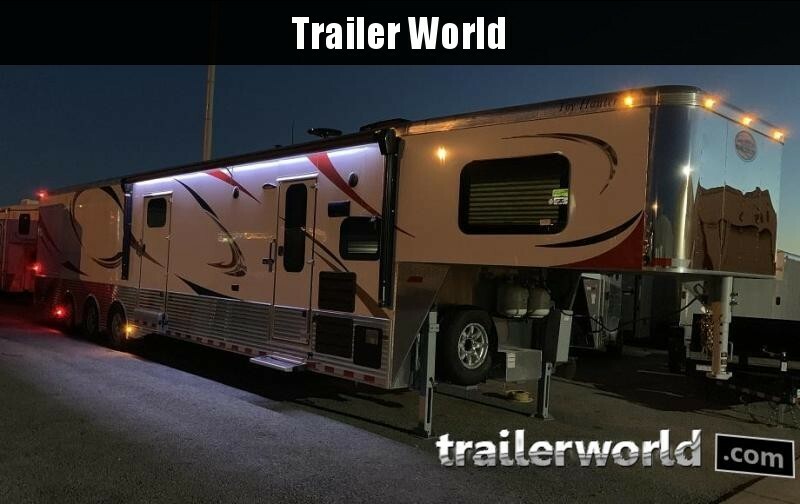 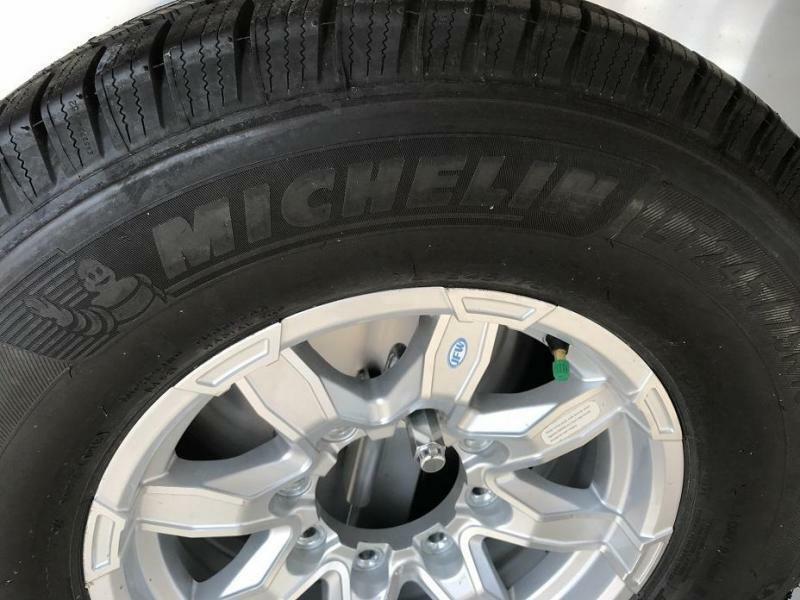 Torsion axles and electric brakes ensure a smooth ride and easy stopping. 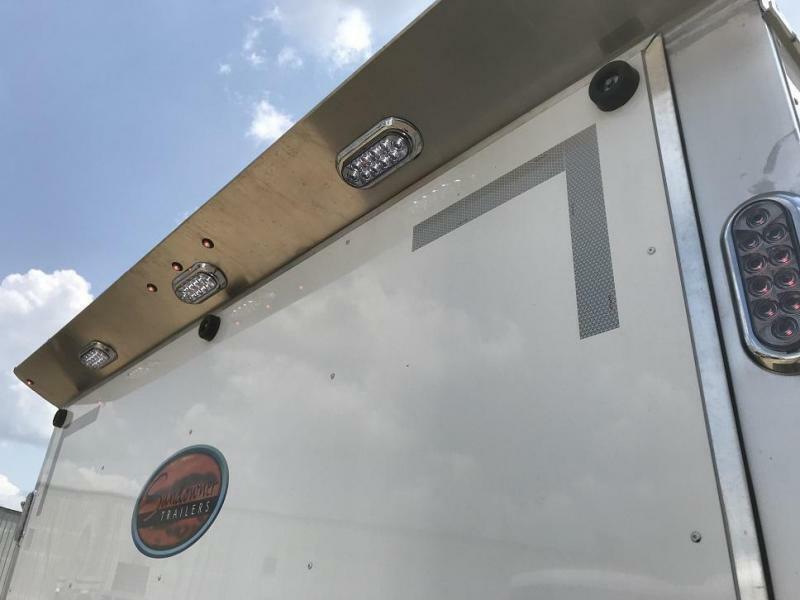 Hydraulic jack makes hooking up and unhooking a snap, while tons of LED lights on the outside and in ensure you can see and be seen at all times. 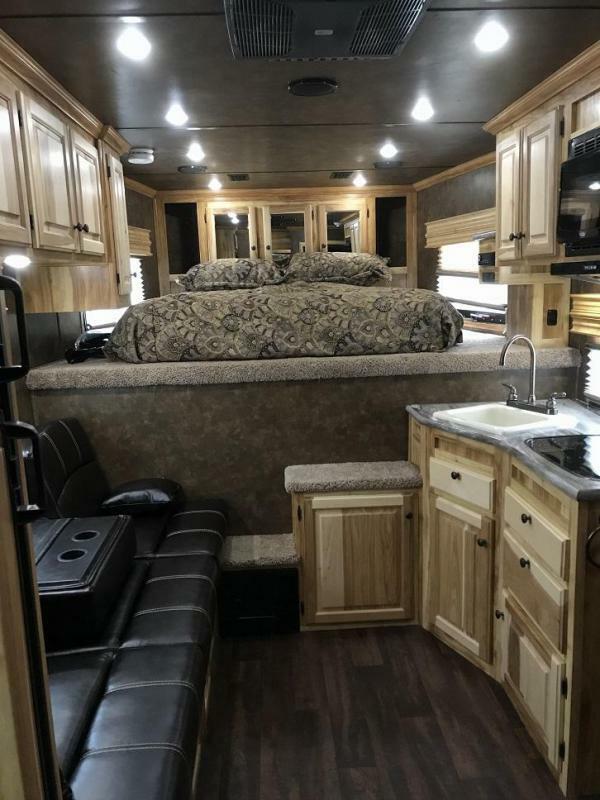 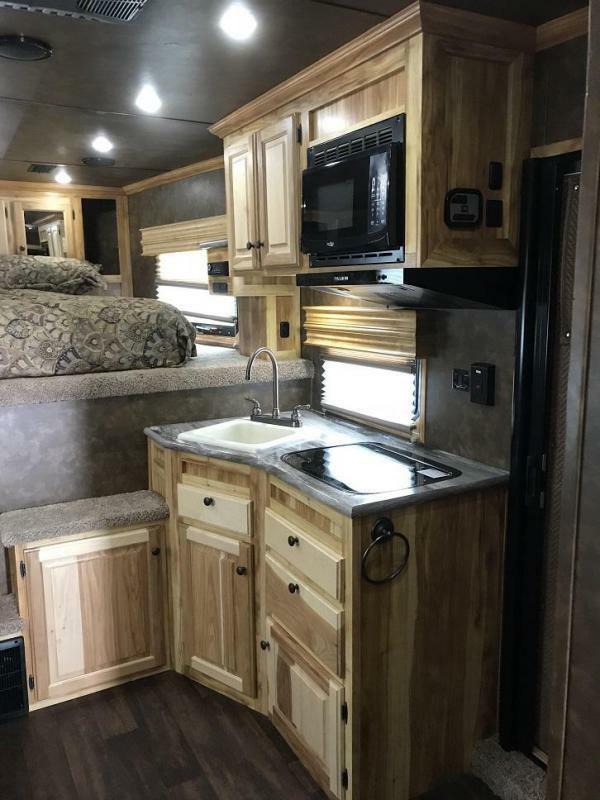 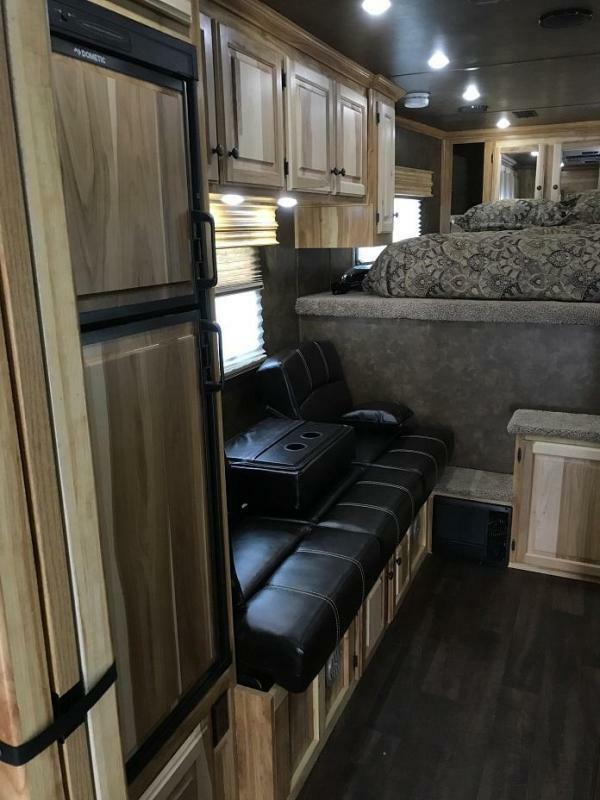 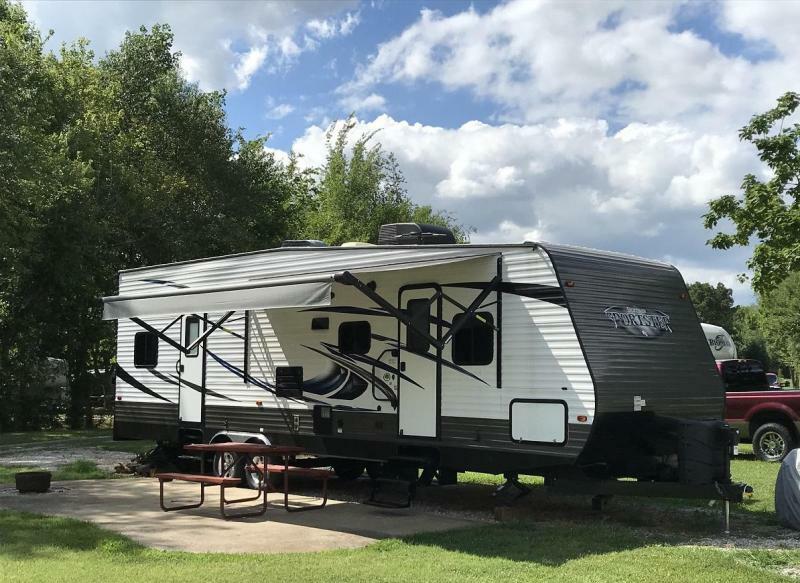 Ducted air conditioning, a furnace, flat screen TV, tons of storage and a roomy round shower keep you comfortable in your home away from home. 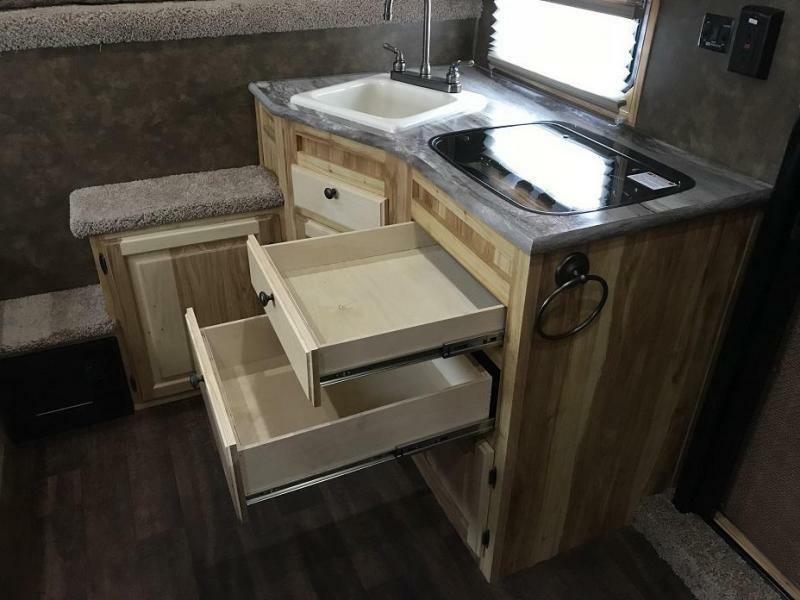 The stereo, stainless sinks, back splash, stylish cabinets. 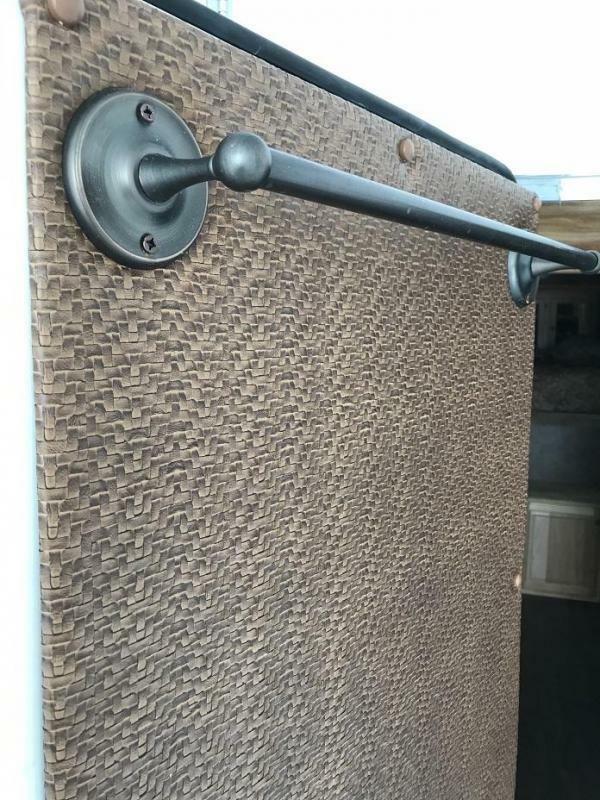 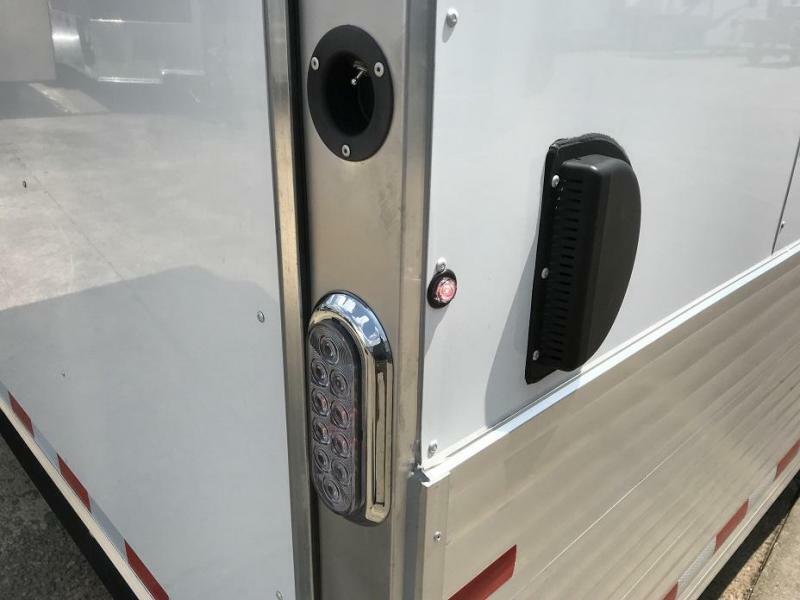 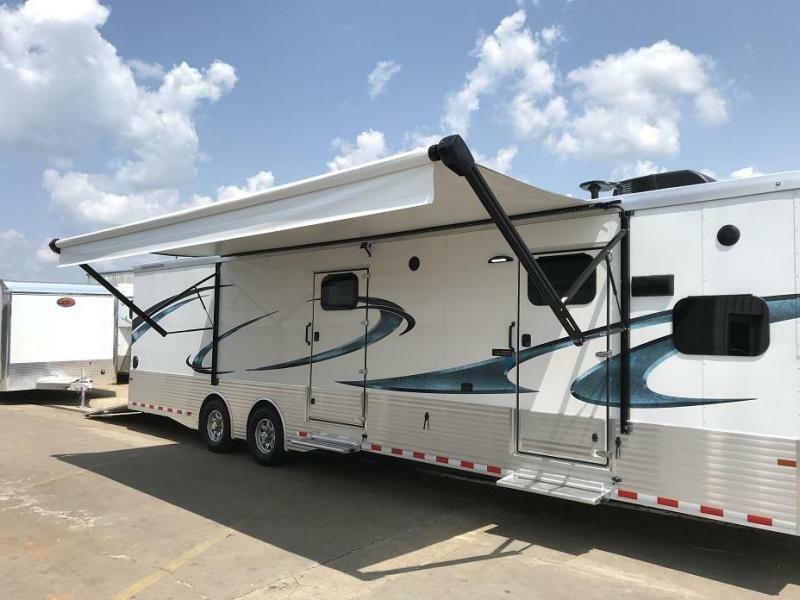 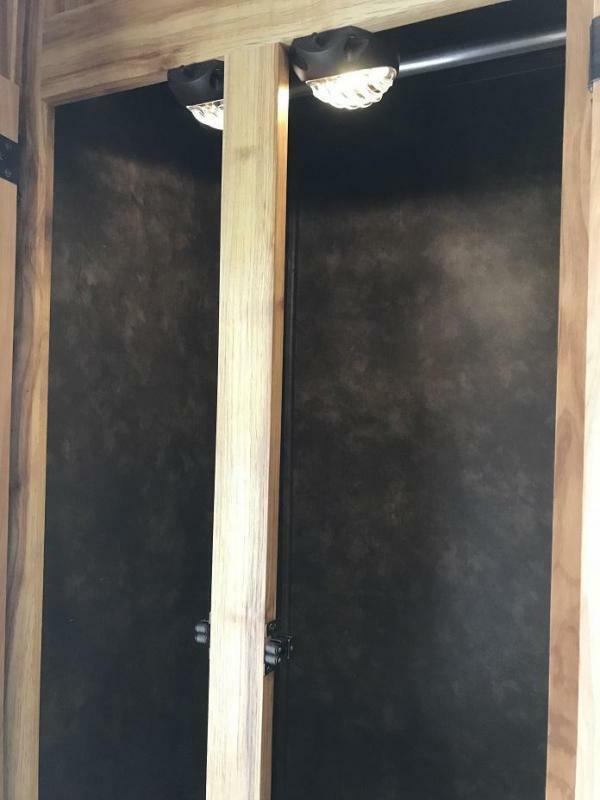 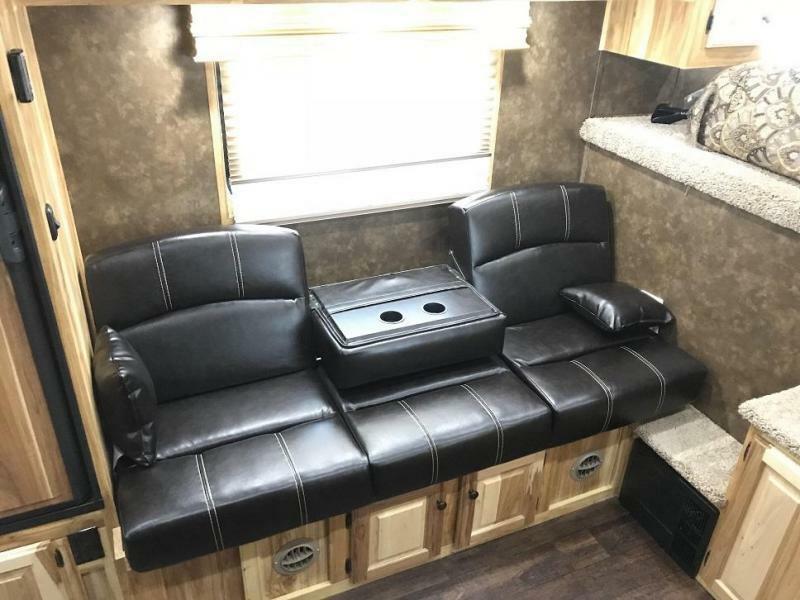 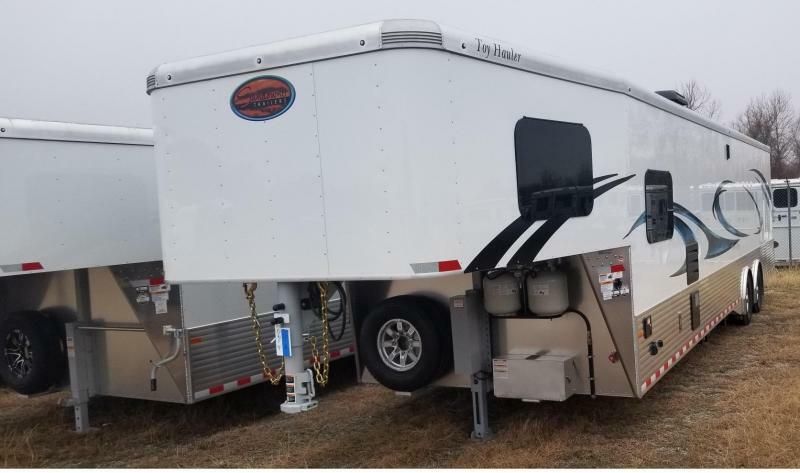 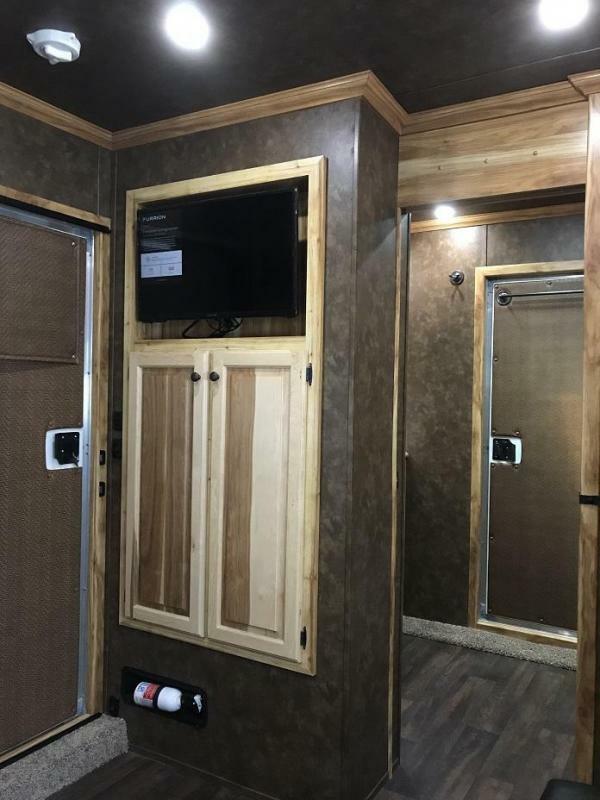 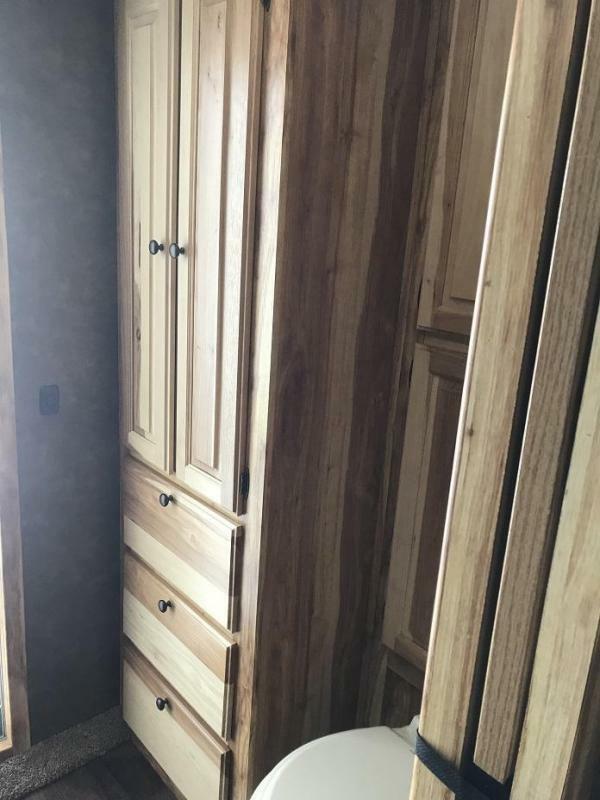 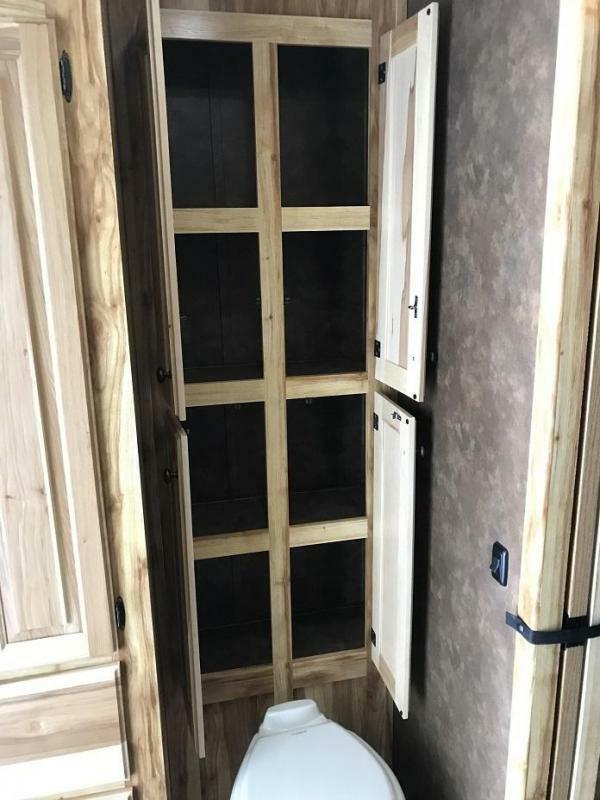 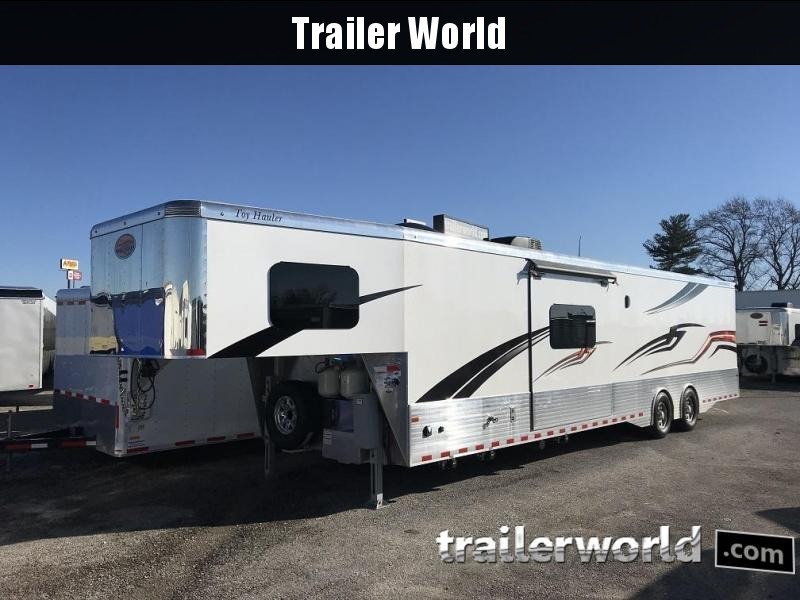 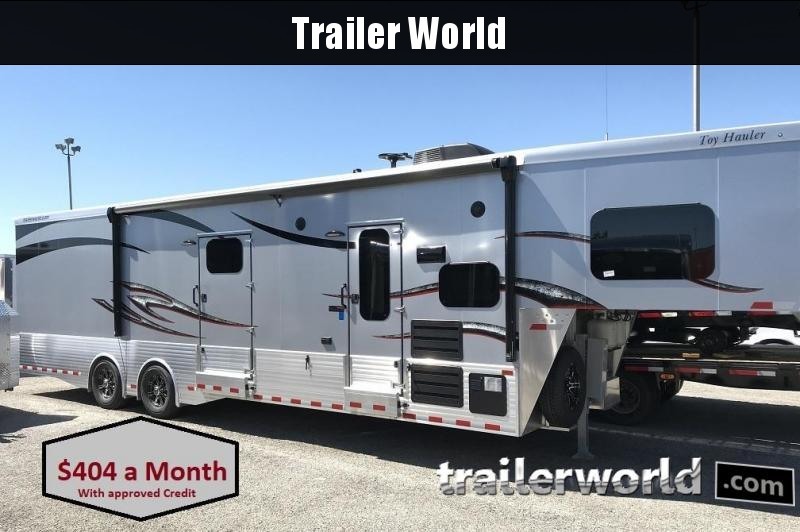 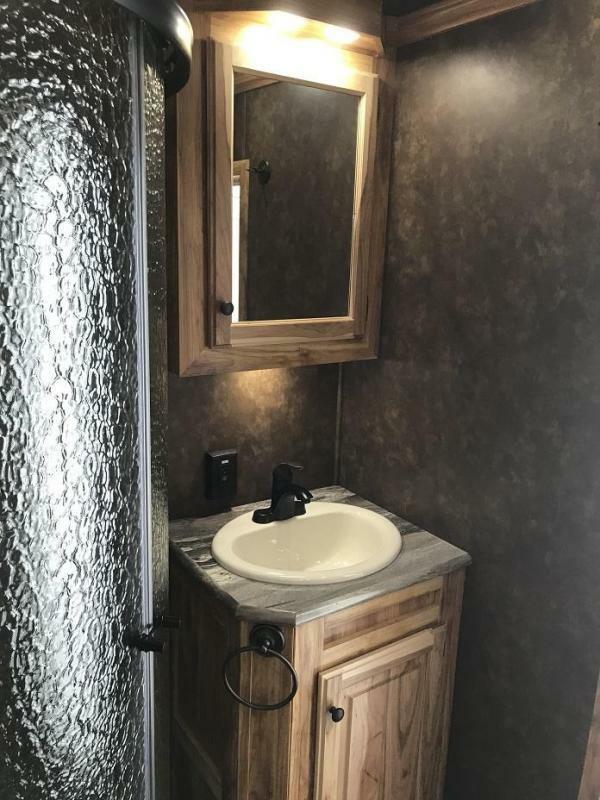 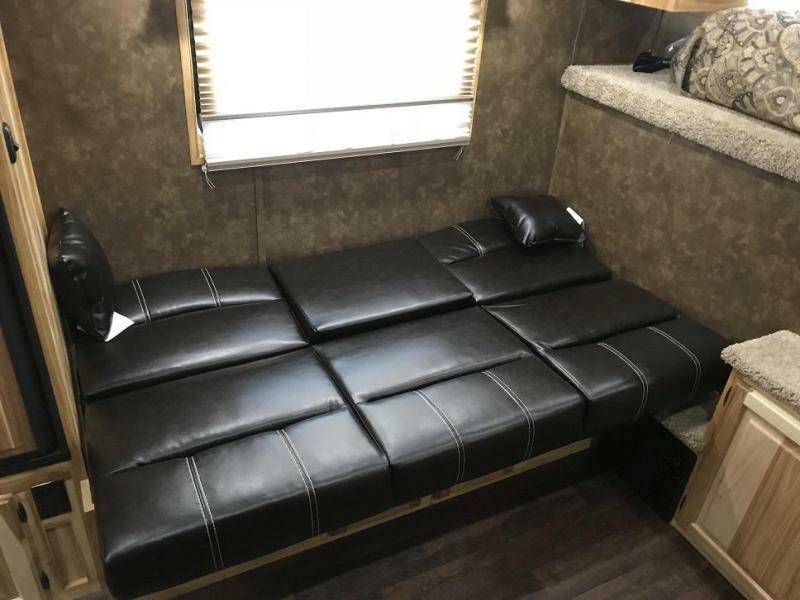 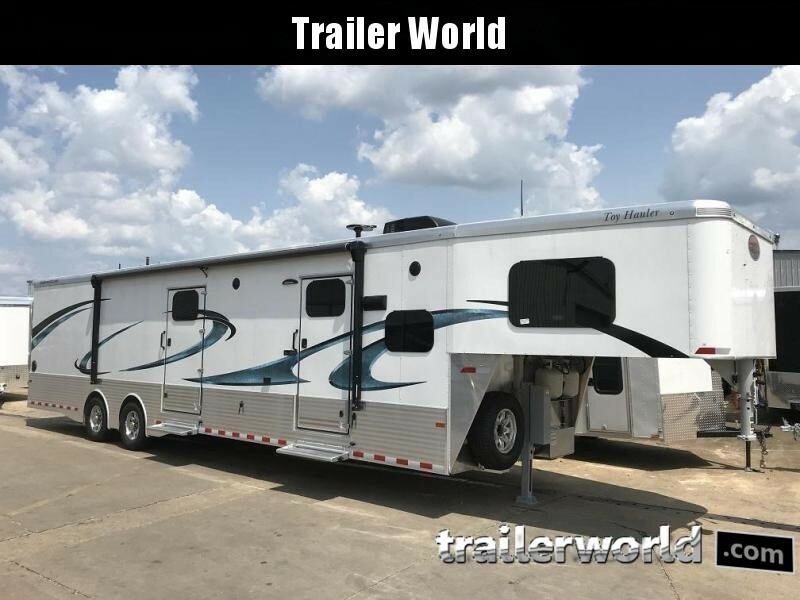 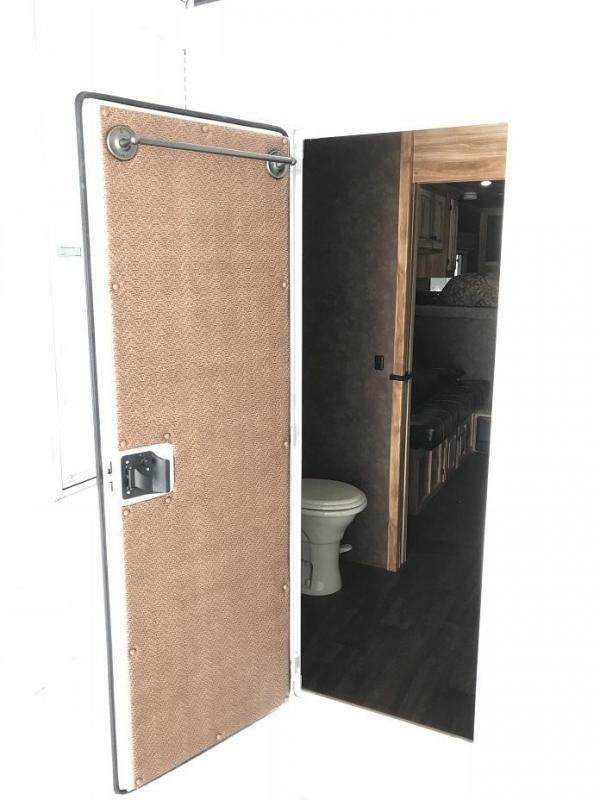 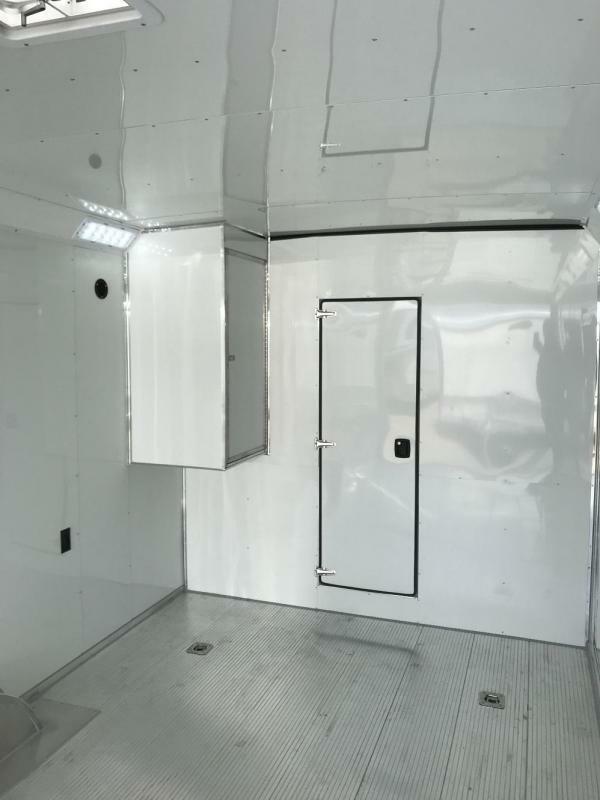 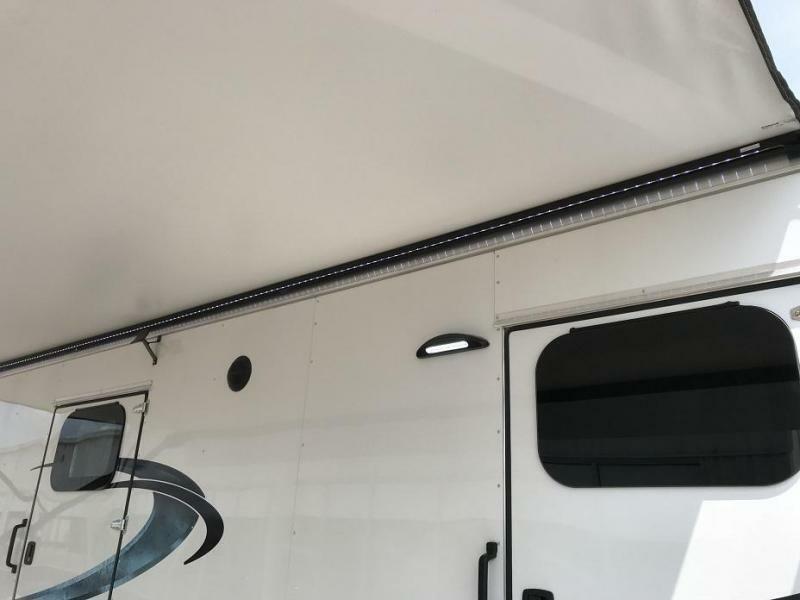 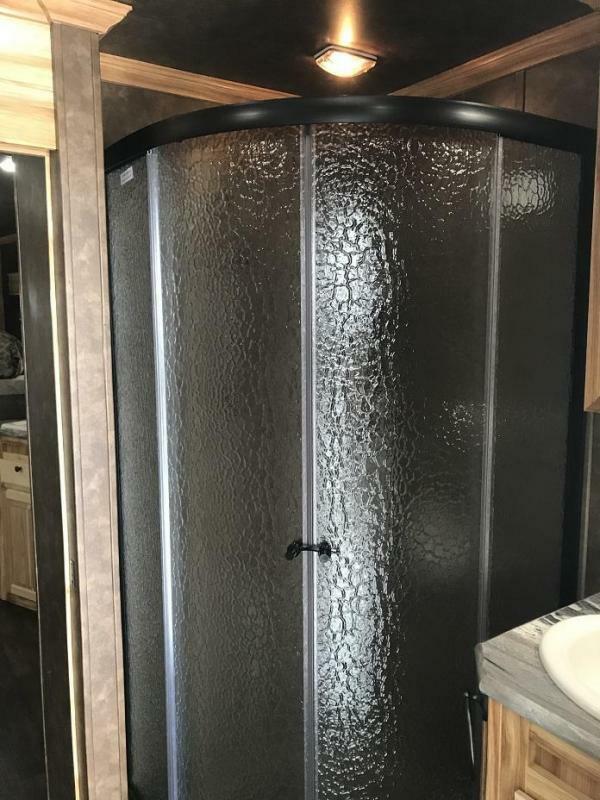 The electric awning, exterior outlets and water spigot, and hidden screen door enable you to enjoy the outdoors just as much as the inside of this trailer.